The Monroe Township Police Department is committed to providing a safe and peaceful environment in the Township of Monroe through effective and impartial law enforcement. The Monroe Township Police Department shall respond to the needs of its residents through active participation in community partnerships. 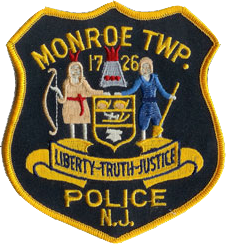 The Monroe Township Police Department shall accept only the highest caliber personnel with a demonstrated ability to meet and exceed standards for personal and professional conduct. The Monroe Township Police Department will extend the utmost courtesy and respect to all residents, visitors and employees within the community; and will be accountable for the actions of its employees at all times.